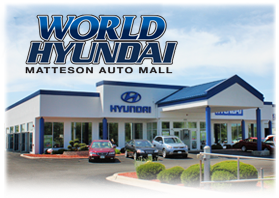 World Hyundai Matteson is pleased to be your Chicago Hyundai Dealership. We have a trained staff of Hyundai certified product specialists that are ready to assist you with your Hyundai purchase. Our sales and management staff are professional and are looking forward to assisting you with your purchase. We are conveniently located at the intersection of I-57 and US 30 in Matteson, just minutes south of the City of Chicago! We carry a huge inventory of both new and used Hyundai models including hard to find low mile, one owner trade ins. 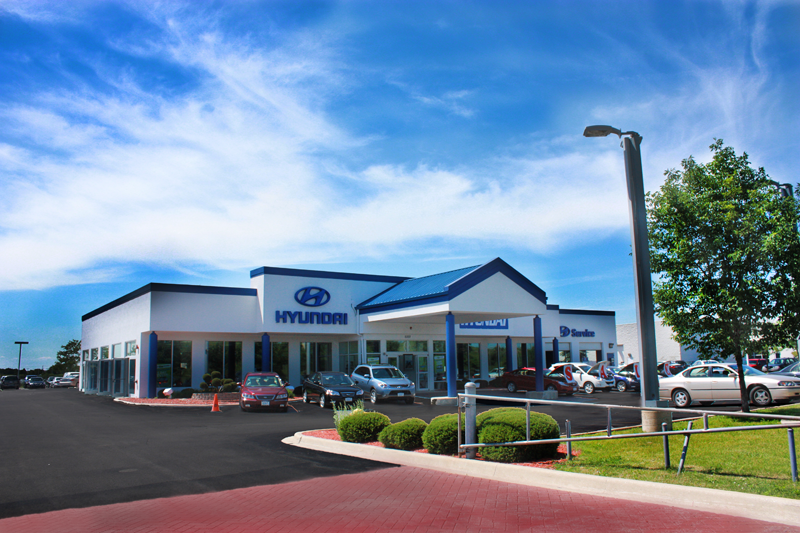 At any given time, we will carry over 100 pre-driven Hyundais and have access to hundreds of new Hyundai models. If you have been searching for that perfect Hyundai, new or used, we have it or can get it for you. We have payment options that include no down payment and you may even be able to delay your first payment up to 90 days. World Hyundai accepts trade-in vehicles and we would be happy to give you a fair-value appraisal of your vehicle and you can even use that vehicle as your down payment. We would be happy to schedule you for a private showing so that you can test drive a vehicle at your leisure. We are very proud of our Chicago Hyundai Service department and our trained staff of certified mechanics. Our online Hyundai service appointment booking will ensure that you get the time that works best for you when you need your Hyundai or other vehicles worked on. And our fleet of thirty Hyundai service loaners is the largest in Chicago. Contact us for an estimate on your maintenance needs. You’ll find that our prices can’t be beat. We now have expanded service hours to accommodate our customers including morning hours starting at 7:00am on weekdays and we are now open until 7:00pm in our service department. Now, read our Hyundai Blog! Chicago area Web developer, blogger, and Graphic Designer at World Hyundai Matteson. View C. Tracy's Google Profile.